The US isn't the only western country with an Digital eye i.e PRISM like surveillance program, designed to monitor internet and phone communications. 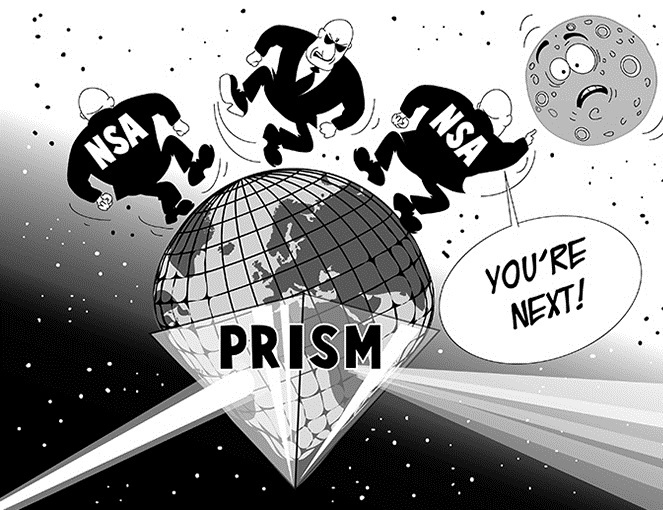 French is leading member at European Parliament and they voted to launch an in-depth inquiry against the US's based PRISM surveillance project. The fact that the French DGSE is itself engaged in similar program should make for some awkward proceedings as that inquiry gets underway. France’s General Directorate for External Security has a PRISM like system that intercept and processes the metadata for billions and billions of communications, including internet messaging, phone calls, SMS and even faxes. According to French newspaper, Le Monde - program goal is ostensibly to track the behavior of terrorist cells, but the Directorate allegedly shares the anonymized information with other six intelligence services, including the police and DGSE officials said the surveillance practices are legal. French politicians are said to be aware of the program, but have been sworn to secrecy. The program may be illegal, as French law does allow intercepts to be made on the grounds of security if the Prime Minister sanctions them, but there is no law that allows them to be stored.